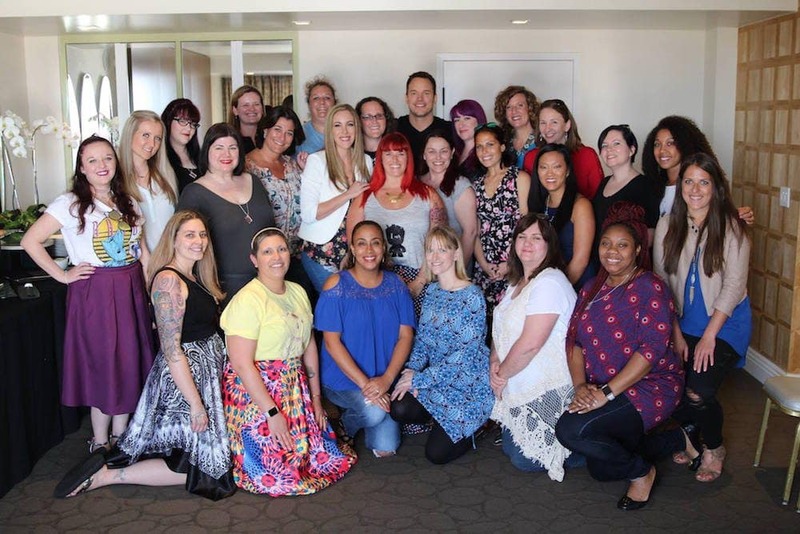 When Chris Pratt walks into the room this happy to see you and your group of colleagues, you know you’ve made it in life. Granted we are just as happy–okay, probably a whole lot more than happy–to see him. He had to have been tired from the premiere of Guardians of the Galaxy Vol. 2 the night before and having just been in Japan. But we’d never know it. He’s always radiating positivity and genuine joy. 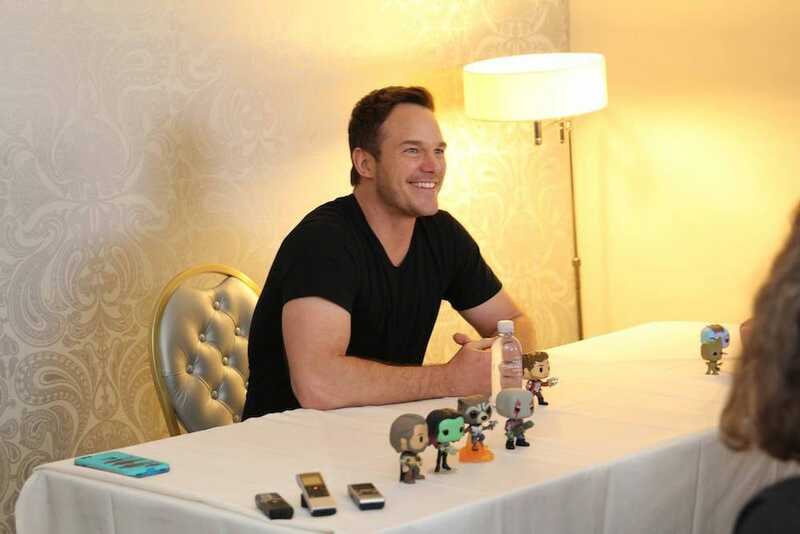 Screw coffee, can I have a glass of Pratt every morning? I promise to keep all spoilers out of this interview. 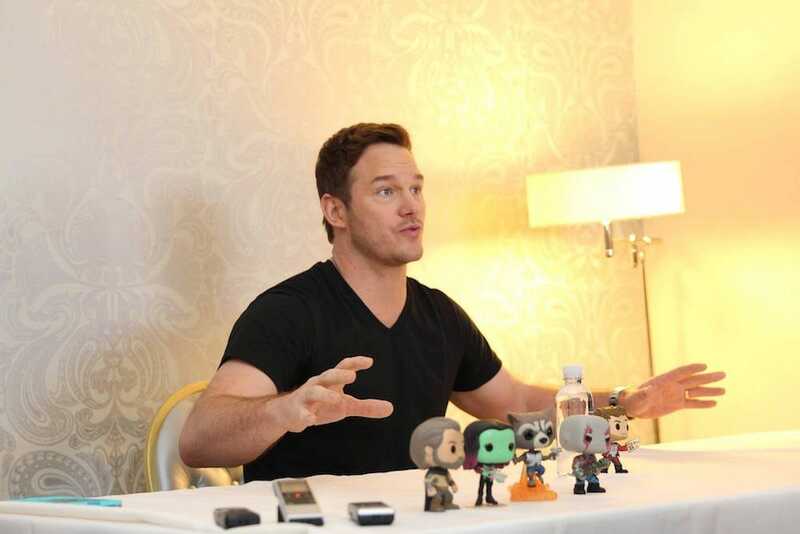 But, we had already seen the movie so we were free to discuss all the juicy details with Chris. So, I may come back and fill some spots in after the film release. Q: Did you use any kind of real life personal experiences to channel your emotions in this film? 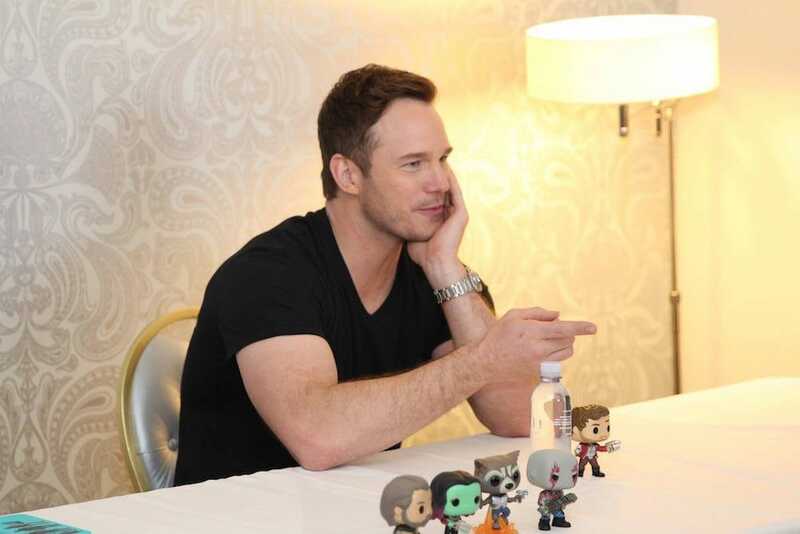 Chris Pratt: “That’s something for me as an actor is one of the hardest things for me to do, is channel anger, because I do it so rarely in my real life. I’m not saying that that’s healthy. But I don’t really do it that often. I think often times how we behave in the real world is–that type of behavior is really easy to do as an actor–for me at least. Real natural stuff. Can you talk about working with Kurt Russell? 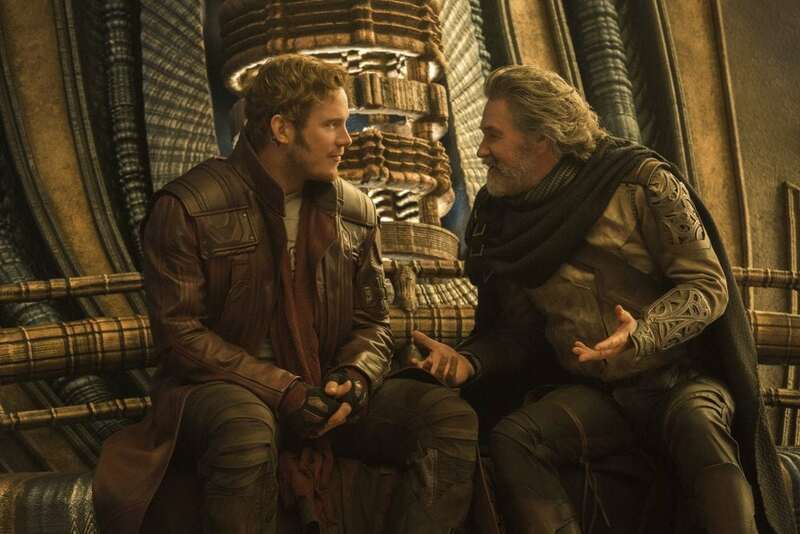 Chris Pratt: “Everyone on my team, everyone who’s been hanging out with him, they’re all just like, ‘He’s such a great dude.’ And, he really is, man. I’ve heard a few people say, ‘It really feels like you guys could be father and son.’ We share a lot of the same passions. He’s a really cool guy. He’s a really open book. Definitely know where you stand with him. He tells ya, he tells it like it is, and I really like that. Q: Did any of your improv make it to the final cut? 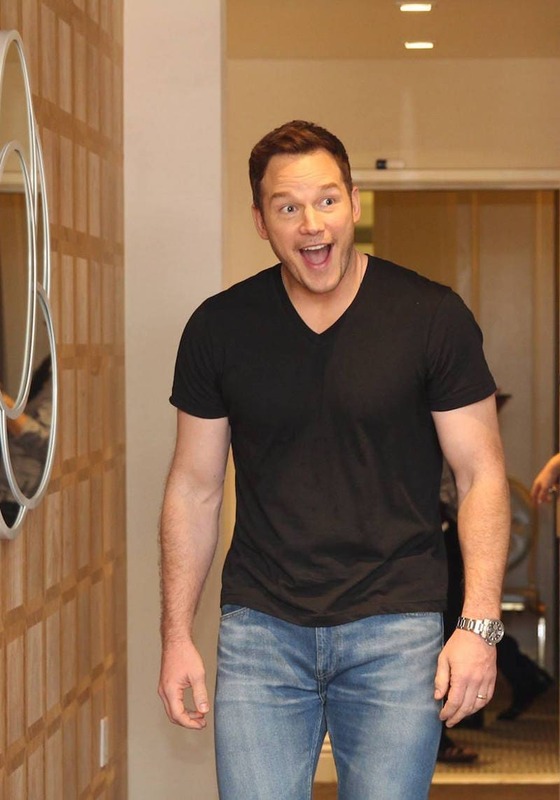 Chris Pratt: “Yeah, I mean, James really knows my voice. Especially in the second movie, he has written the script in a way that it sounds like stuff I would improv… but there are a few jokes that I made that made it. The thing about ‘if the thing between my legs had a hand…’ yeah, that was me. I remember that day it wasn’t that funny. It was just like we’d done that scene a bunch of times, and they had to do it again because they needed to get something else. So, I knew they already had whatever the line was that was written…That’s my room to play. Marvel’s Guardians Of The Galaxy Vol. 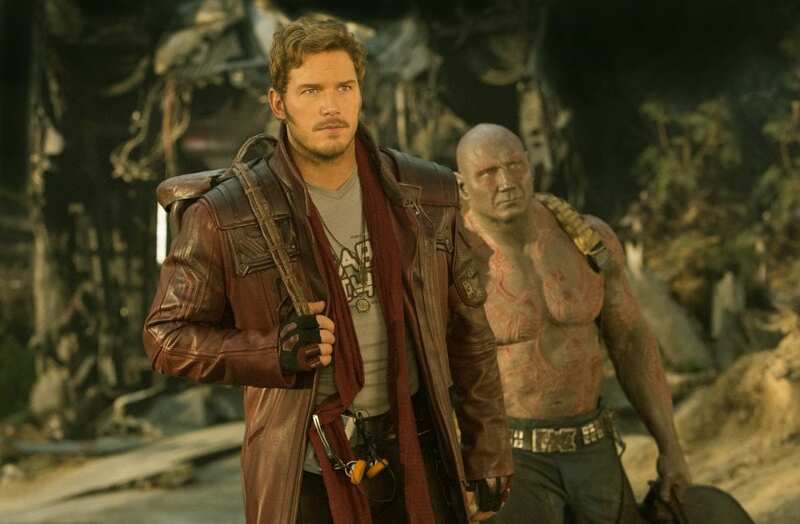 2 Star-Lord/Peter Quill (Chris Pratt) and Drax (Dave Bautista) Ph: Chuck Zlotnick © 2016 MVLFFLLC. TM & © 2016 Marvel. All Rights Reserved. Q: What is Peter Quill’s favorite snack? Q: Speaking of diet and fitness, how do you stay in shape? Moms always get asked how they balance it all. But you’re a great dad, and husband–so how do you do it all? 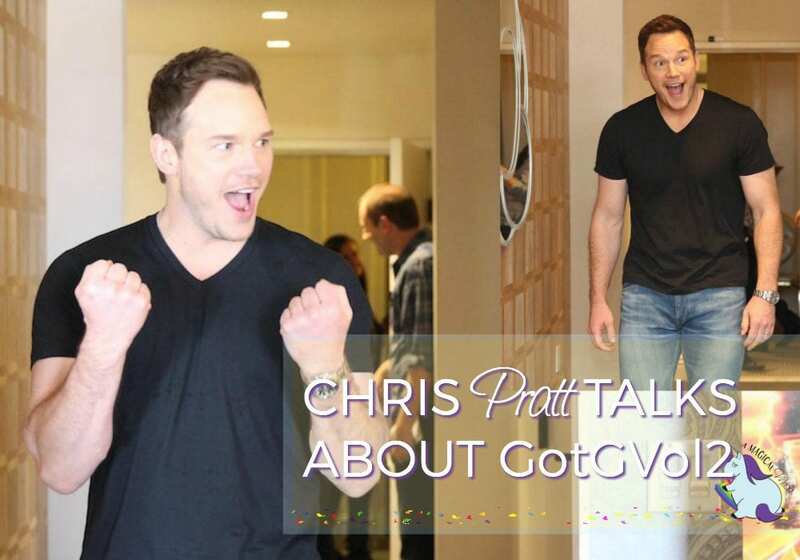 Read our interview with Chris Pratt while on set in Atlanta!